Republicans won a lot of federal and state races this past November. But in Pennsylvania, Tom Wolf beat Republican Governor Tom Corbett. And now, Wolf is naming his cabinet. Dr. Richard Levine – who now goes by “Rachel” is Wolf's pick for physician general. 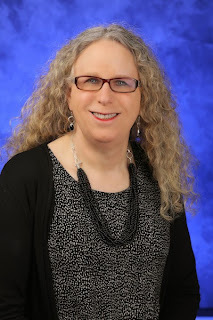 On Saturday, Governor-Elect Tom Wolf released the names of four more members of his cabinet, one of which is a transgender woman, Dr. Rachel Levine, who will serve as his physician general. Dr. Levine, a resident of Middletown, Pennsylvania, is currently a professor of Pediatrics and Psychiatry at the Penn State Milton S. Hershey Medical Center, where she also serves as chief of the Division of Adolescent Medicine and Eating Disorders, a program she created on her own. She has also worked actively with the school’s Office of Diversity, mentoring LGBT students, faculty and staff, and she sits on the board of Equality PA.
Who even knows what a physician general does but clearly Wolf is sending a message with this appointment as to where he intends to lead Pennsylvania.